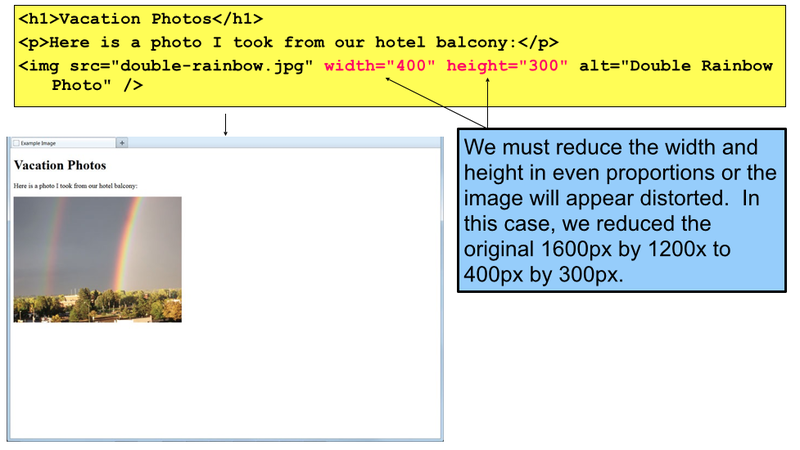 The alt attribute specifies an alternate text for an image, if the image cannot be displayed. It’s a good habit to name all image files with lowercase letters and to use underscores or dashes instead of spaces. 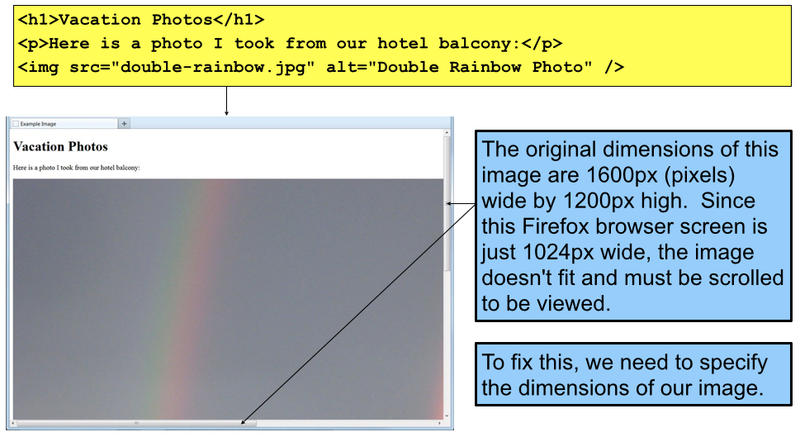 By supplying values for the height and width attributes, we can instruct the browser to display the image in exactly the size we wish: We can also make a smaller image appear larger on the page, but this isn’t recommended, as the image will look pixelated and of poor quality. Web download speeds are much slower than our local hard drive access speed. 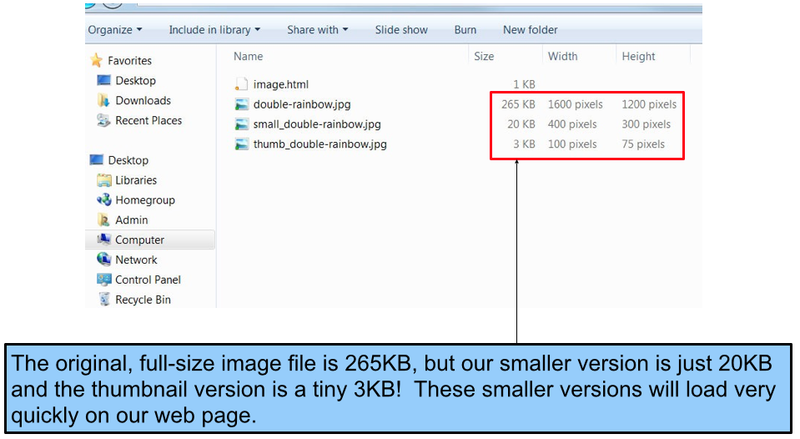 Downloading large image files can take a long time and make our web page slow to load. 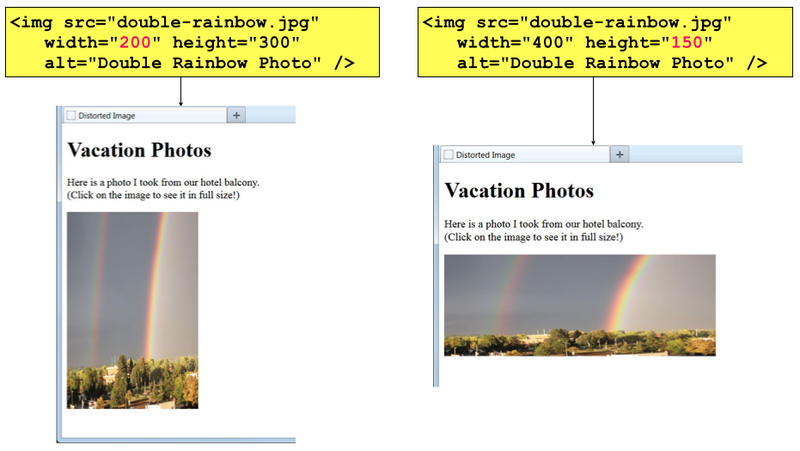 The solution is to “optimize” our web images by creating copies in the exact dimensions we display them on our pages.